This paper examines the standards consortium problem (i.e., lack democratic procedures) and the democratic rhetoric that surrounds it from a European perspective. The social shaping approach is used. The analysis addresses the organizational level (consortium procedures) and the actor network level (processes of meaning negotiation). 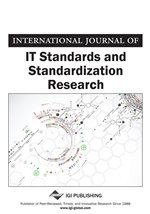 The research method includes two in-depth case studies of consortium standardization: Java in ECMA and the Extended Markup Language (XML) in the World Wide Web Consortium (W3C). The findings illustrate inaccuracies and inconsistencies in the way the consortium problem is defined. They indicate that the dominant rhetoric underestimates the openness of most industry consortia and overestimates the practical implications of the formal democratic procedures. This unbalanced portrayal and sustained indistinctness about what is meant by ‘democracy’ are part of the meaning negotiation that takes place in the actor network. Implicitly, the European actor network is still predominantly defined as an instrument of regulatory governance. This marginalizes the role of consortia. The paper offers several suggestions to redefine the consortium problem.